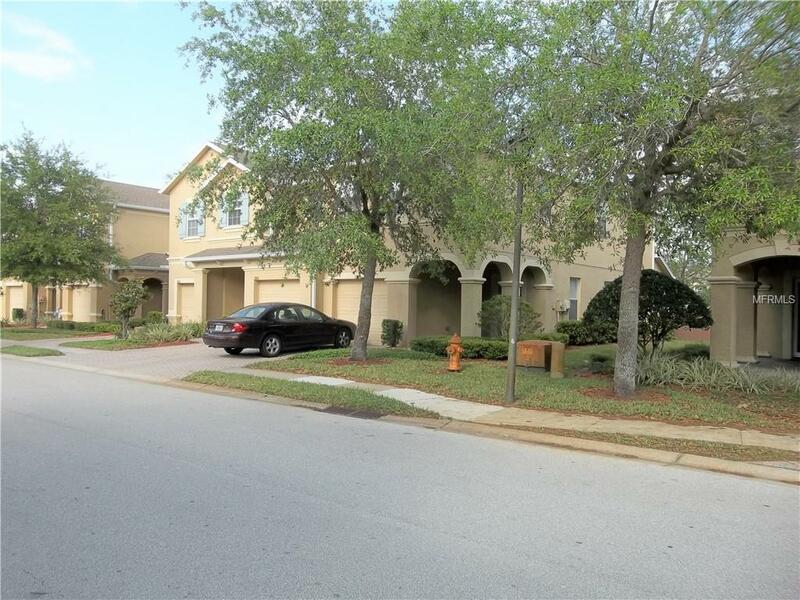 Amazing END unit townhome in the beautiful community of Ballantrae. This open and spacious floor plan has a large kitchen open dining area and family room on the main floor. The Kitchen features Corian countertops, tiled and nice Cabinets. A sought after split bedroom design has two bedrooms and a bath on one side of the loft and spacious master suite on the other to give maximum privacy to all. The large master bath includes a garden tub with separate walk-in shower and dual vanities. Also, Upstairs is a loft that can be used as a bonus room or office, plus washer and dryer storage area. The location of this home is close to the pool with the bonus of visitor parking just steps away. While the complex has its own separate pool, the Ballantrae community also has a pool, walking trails, fishing pond, tennis courts, basketball, playground and clubhouse. This location is close to the Veteran Expressway with easy access to Tampa, airport, Multiple Malls and the Premier outlet. Listing provided courtesy of Intl. Realty Plus-Tampa Bay.